We tend to envision children's books as simple picture books. But, that's really just a starting point to further imaginings. Children's book categories are much more than that. Picture books or board books are aimed at children from ages 0 to 5. 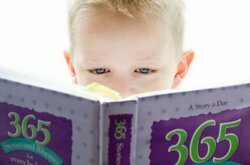 Early readers (ages 5 to 7) progress onto books with short amounts of text on each page. They're still picture-driven, but they're beginning to help children build a vocabulary. Young readers or simple chapter books are aimed at children ages 7-12 moving on to less picture-driven books. Young Adult (YA) fiction is the realm of children aged 13 and older, touching on themes that specifically affect teenagers. Within these age ranges, we find various genres to enjoy. Let's take a look at a list of children's book types. This genre is based on a real person, not a fictional character. In it, children will learn about a person's life, usually from birth to death. Or, it will center upon a prominent portion of their life. What makes this genre special is that it often contains copies of handwritten letters, journal entries, and personal quotes. Fantasy books are set in lands that do not exist (to our knowledge). These are imaginative worlds created entirely from an author's imagination. Here, we might meet a time-traveling kid who explores the year 9545 or a child whose best friend is an alien from planet Kismelt. In children's fantasy books, the settings will usually be fanciful and colorful. They will take little learners off to far and distant (make-believe) lands. In these books, readers will often meet characters with human-like qualities that aren't quite human. Science fiction, often referred to as sci-fi, deals with imaginative concepts like aliens, exploration, technology, and time travel. This genre likes to explore "what if" scenarios. We enter into worlds where aliens roam free, kids put on their space helmets and explore uncharted planets, and families are transported through time. This genre is fanciful and can open the readers' minds to scientific discovery. Perhaps they'll ponder a world where time machines exist. Interestingly, a lot of this genre is rooted in some sort of scientific truth. It just takes things to a new level as children explore futuristic settings and imaginary universes. Folklore has a touch of a fantasy element to it. We might meet characters with human-like qualities that aren't quite human, such as fairies and leprechauns. However, folklore is rooted in cultural heritage. This includes traditional myths, legends, fables and fairy tales of old. This genre is so old, it predates the printing press. Ancient mythological tales were told through oral tradition. That is, they weren't written down, rather, people would gather together and listen to stories that they would later tell to others. As the stories passed down from generation to generation, they were eventually recorded into the folklore and fairy tales we know today. Fantasy, science fiction, and folklore are all members of the fiction family tree. The broader fiction genre includes stories that may not be real, but certainly could be real. They're the tales of children and their classroom pals or the adventures of kids and their faithful puppy. So, they're possible events but they still stem from the author's imagination. They're set in "real" places and times and allow readers to dip into the lives of others, even if they don't technically exist. Within fiction, you'll find several subgenres. A popular subgenre is historical fiction. In these novels, the characters lived in a real place and time. However, the story itself remains fabricated. For example, we might read a historical fiction novel of a soldier's daughter who lived during the Civil War. That's a real event and the dates and details should be historically accurate. But, perhaps this daughter dresses as a boy to join the army and see her father. This fictional tale will detail the realities of life at that time, while still falling within the realm of fiction. This genre includes all books on science, math, history, and even the biographies we highlighted above. Nonfiction books contain real-world facts and information. They explain a certain concept or subject. For example, children might take a fancy to astronomy and read books about the solar system. Or, they might read about dinosaurs or present-day animals. Finally, books filled with children's poetry abound. Poetry includes rhythmic expressions expressing colorful images and emotions. Sometimes, poems tell complete stories. Other times, they simply relay feelings and emotions. Either way, they help young readers tap into their imagination and, hopefully, adopt a lifelong love of this artistic form of expression. Whatever your child is interested in, you can rest assured there are children's book genres and a wealth of books to satiate that interest. If you begin a daily routine that involves picture books, you just might find your son or daughter continuing that routine well into adulthood. Let the floodgates to learning open! "List of Children\'s Book Types." YourDictionary, n.d. Web. 18 April 2019. <https://reference.yourdictionary.com/reference/books-literature/list-of-children-s-book-types.html>. We tend to envision children’s books as simple picture books. But, that’s really just a starting point to further imaginings. Children’s book categories are much more than that.Picture books or board books are aimed at children from ages 0 to 5.Early readers (ages 5 to 7) progress onto books with short amounts of text on each page. They’re still picture-driven, but they’re beginning to help children build a vocabulary.Young readers or simple chapter books are aimed at children ages 7-12 moving on to less picture-driven books.Young Adult (YA) fiction is the realm of children aged 13 and older, touching on themes that specifically affect teenagers.Within these age ranges, we find various genres to enjoy. Let’s take a look at a list of children's book types.